Calgary, Alta. 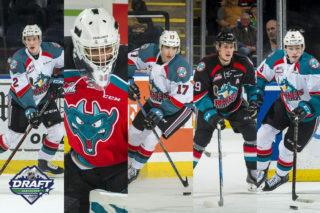 – The Western Hockey League announced today that James Porter of the Kelowna Rockets has been named the WHL Eli Wilson Goaltending Goaltender of the Week and league nominee for the Vaughn CHL Goaltender of the Week for the week ending January 20, 2019. 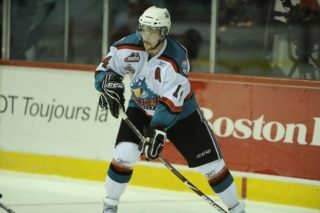 Playing in two games this week, Porter posted a 1-0-0-0 record, 0.00 goals-against-average, stopped 44 of 44 shots for a 1.000 save percentage, and recorded one shutout, allowing the third-place Rockets to remain within striking distance of the Victoria Royals for second place in the B.C. Division. On Friday against the Everett Silvertips, Porter had a phenomenal game, stopping eight shots in the first period, 19 in the second, and 13 in the third to earn his first shutout of the 2018-19 WHL Regular Season. Able to hold off the Everett power play three times, Porter’s 40 saves contributed to the Rockets’ 2-0 win over the Silvertips. Porter’s performance earned him first star of the game as well as first star of the night in the WHL. 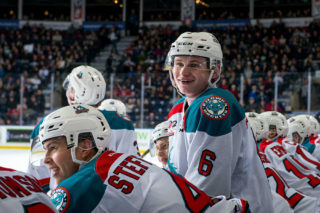 The shutout by Porter was the first by a Rockets goaltender in Everett since Kelly Guard accomplished the feat on November 28, 2003. The 5-foot-10, 165-pound Bonners Ferry, Idaho native is playing his second season with the Rockets, posting a 6-9-2-1 record, 3.06 GAA and 0.907 SV% in 21 games. 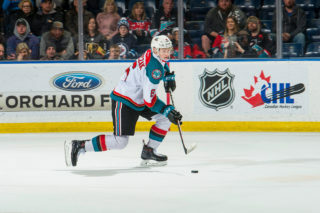 Originally selected in the seventh round, 153rd overall, by the Rockets at the 2015 WHL Bantam Draft, Porter has appeared in 63 WHL regular season games, posting a 28-18-6-2 record, 3.21 GAA, 0.899 SV%, and four shutouts. Last season, Porter was named the WHL Goaltender of the Week for the week ending December 31, 2017, earning Vaughn CHL Goaltender of the Week honours as well. The Rockets will play host to their B.C. 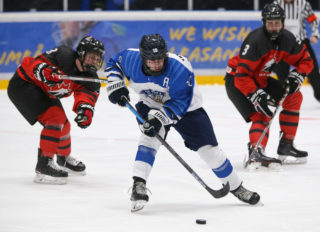 Division rivals, the Victoria Royals, Friday, January 25 (7:05 p.m. PT) at Prospera Place.